One of the Ecoisland initiatives to support sustainable living on the Island was the Greenback scheme. The Greenback card entitles its user to discounts from a wide range of goods and services across the Isle of Wight, by buying one you are helping to fuel sustainability on the Isle of Wight and encouraging local business. 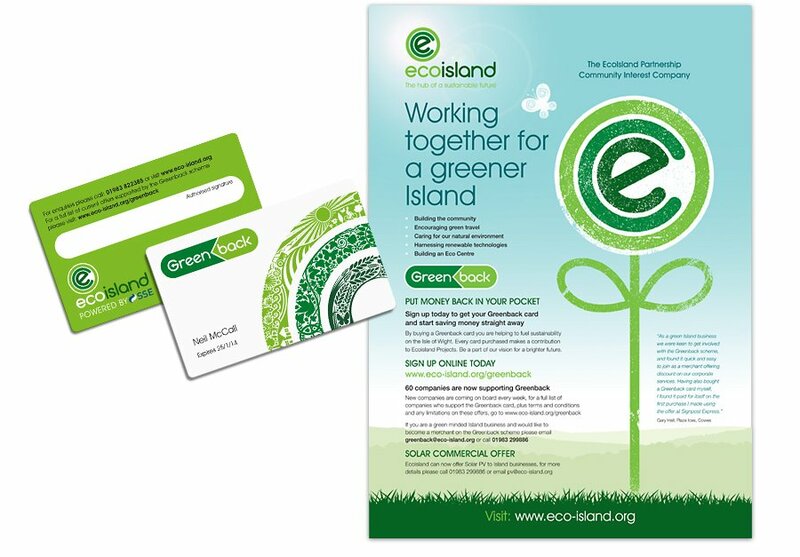 As part of the brand development for Ecoisland we were asked to develop the styling for the card itself, which was produced using compostable materials, and the associated local press advertising. The first of these ads used the piggy bank icon to symbolise the savings that can be made in a friendly manner. This advert was also resized and produced as stickers to alert people to the supporting vendors of the Greenback card. The second of these ads was more of an advertorial that appeared as a full page advert in local press, carrying the familiar flower design.